Volusia Tree Service takes pride in servicing the Daytona Beach area for our homeowners, as well as our business owners. We know there are a lot of great things about living in Volusia County, and in the Daytona Beach area in particular. Residents here are blessed with abundant sunshine, pristine beaches and many things to do in the area or within a short drive. With that being said, the area is also subject to periodic storms and high wind conditions which can be a nuisance, especially if you have a lot of trees in your yard or at your business. Conditions like these will often mean that you will have the need for a tree service company like Volusia Tree Service to come out to your home once in a while and do some of the affordable tree services outlined below. Volusia Tree Service is an expert at emergency tree service, as it’s no secret that the occasional severe storm or hurricane usually makes its way through the area at least a few times a year, and when they do they have the ability to really wreak havoc with the trees, shrubs and other vegetation on your property. Large limbs can get ripped off and lay in places that they should not, or even worse hang precariously and pose a falling danger to those who spend time in the yard. Fallen limbs and trees can damage the property where they land, become entangled in power lines or even just make your yard very unsightly. When this happens your best course of action is to call Volusia Tree Service, your local Daytona Beach tree service company, and have them come out and help you. Uprooted trees are another big problem after storms and strong winds pass through the area. Daytona Beach soil tends to be wetter than most because of its proximity to sea level and this can leave trees leaning on your house or on other structures where they can be harmful to the structure or left in a position where if they fall further they could do even more damage. Our tree experts will know the best way to resolve these situations and do it in a way that does not damage the surrounding areas as they remove the trees. Why shouldn’t you do the cleanup yourself? Emergency tree removal is something that is best left to the experts after a storm. At Volusia Tree Service, we have the right equipment to do the job and they know how to do it safely, and we provide competitive quotes for all tree projects. We are experienced with working around power lines and with jobs that require ladders or other means of working at heights. Unless you really know what you are doing, then you don’t really want to work with chainsaws and other potentially dangerous power equipment either. Sometimes it is just not worth saving a little bit of money when it comes to getting a job done right and getting it done safely at the same time; not to mention that many types of emergency tree service in Daytona Beach will be covered under your homeowner's policy. There is an art to Daytona Beach tree pruning and our experts know exactly how to do that. Different trees need to be pruned in specific ways, and the conditions in your yard will also dictate exactly how you will need to prune the trees in your yard. At Volusia Tree Service, our tree experts are familiar with all the local type trees and how each needs to be taken care of. This consists of removing the smaller branches throughout the upper part of the tree to lessen the density of the foliage. This goes a long way toward promoting tree health by allowing the sunshine to get to all the different areas of a tree. Without it, only the branches found on the top and sides of the tree get the sun they need and the inside leaves and branches tend to be unhealthier than the rest of the tree. It also helps to lessen the stress on the tree by reducing wind resistance also. During this process the dead, decaying and unhealthy branches will be removed from the tree also. This is when the lower branches on the tree are pruned to allow more light to get to the surrounding shrubs, plants and bushes. It's usually only done to the lower 1/3 of the tree. It has to be done by trained technicians, and our techs are among the best in the market. 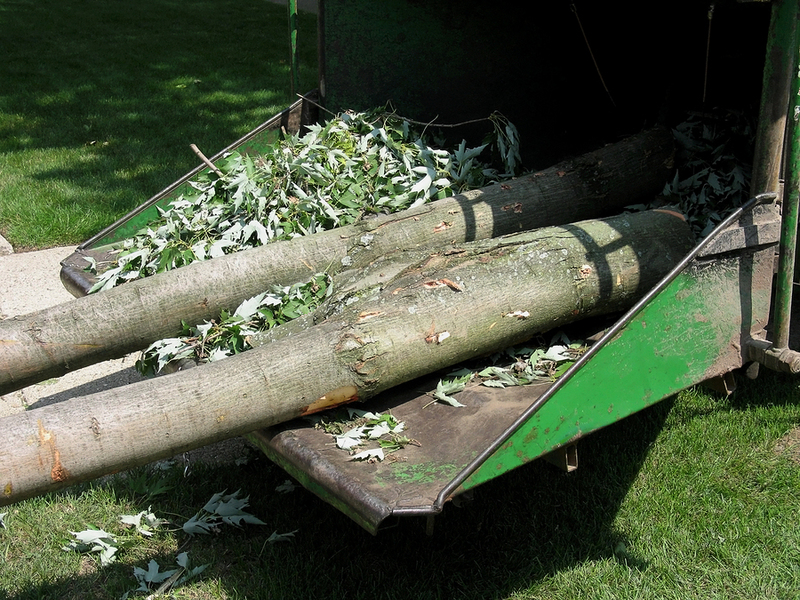 We are experts at removing the branches efficiently and cost-effectively. This is where the ends of the branches on a tree are cut back to a point that promotes healthy growth. This is ideal for branches that are in close proximity to gutters, power lines, buildings and other things that you do not want them rubbing up against. Tree Removal: Sometimes you have the desire to have more space in your yard and a good way to do that is by taking down some trees. This can help you do such things as create more lawn for your kids to play in or put an addition on your house. Volusia Tree Service can handle this type of work with no problem and we do it in an efficient and affordable manner. Stump Grinding: Once those trees you want out are gone, you will need to reclaim that area for your yard but you can’t do that until the stump is completely removed. Once the stump is removed you will then be able to plant grass or other plants in that area. Our tree experts are not only proficient at getting those unwanted trees down, but we also do a nice job of grinding the stumps out so the space where the tree was is now 100% usable for anything you want to do in that area. So in order to maintain the health of your trees and to help keep them looking great too, hire Volusia Tree Service to come out to your home on a periodic basis. We will get the job done right at an affordable price, and do it in the safest manner possible. Call us today at 386-597-1285 for a free estimate for your home or business.